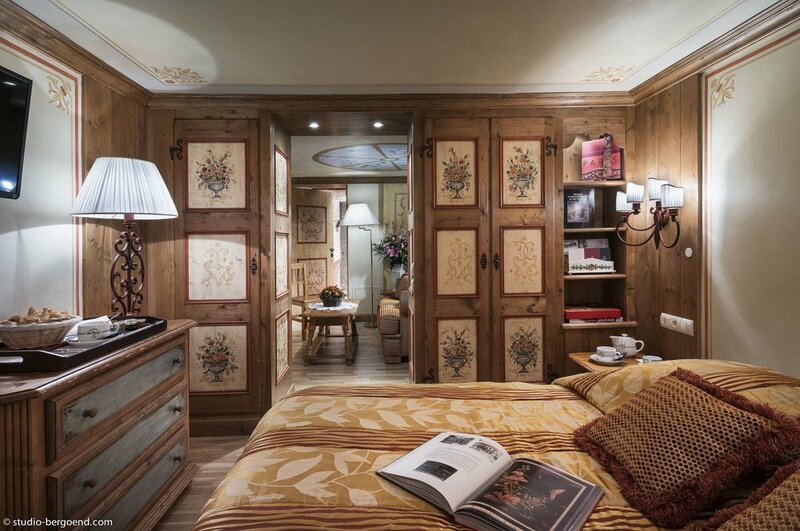 This is an attractive, traditional chalet-style Hotel, recognisable by its distinctive external Alpine mural and enjoying an unbeatable location in the centre of Courchevel 1850. The Loze enjoys ski-in/ski-out convenience (well, the width of the road away!) and has predictably great views over the hustle and bustle of the Croisette. There are just 27 rooms, all furnished in traditional Savoyarde style and with newly-furbished bathrooms (including some North-facing rooms with limited views which offer remarkable value for money! ), as well as a 2-bed/2-bath suite suitable for families. The hotel’s 5th and 6th floors are occupied by two sumptuous 3-bedroom and 4-bedroom apartments - all ensuite - with beautiful lounges and huge south-facing balconies overlooking the pistes. Anyone who has ever skied into Courchevel 1850 will have enviously wondered who they belonged to!! Guest facilities include a very cosy bar/lounge with open fire, which doubles as the breakfast room, as well as a small spa with sauna and Hammam steam room, together with free wifi throughout. 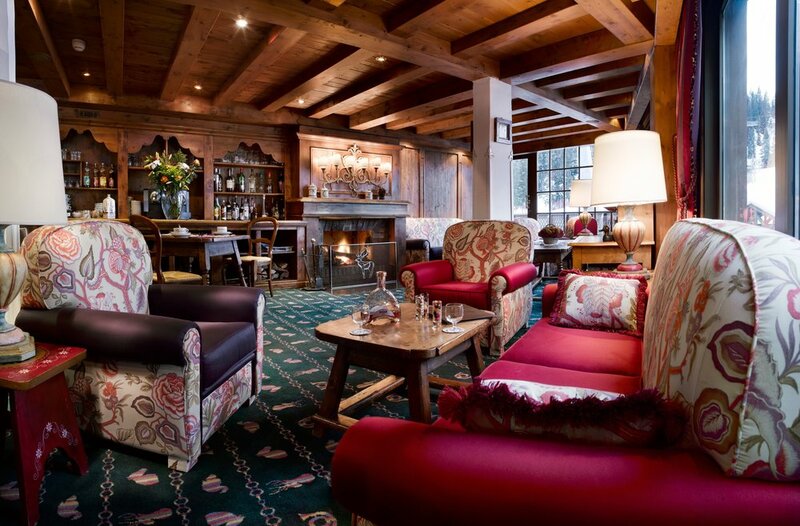 There is no in-house restaurant however, although this will suit those wishing to eat out in the evenings in any of the many excellent places of which Courchevel is justifiably proud. In a nutshell, a super little place with very friendly staff and a lot of old-world charm about it. Anyone looking for the perfect central location in 1850, the freedom of not being tied into half-board, and very reasonable rates, should definitely bear La Loze in mind.